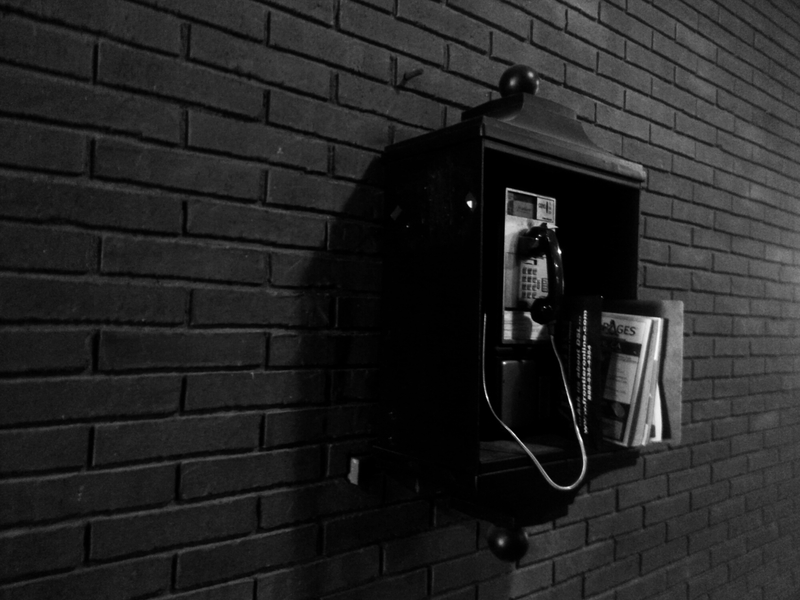 There are still pay phones all around the college I attend. I have always wanted to capture one. On that day, I happened to find one in a wonderful area and snapped away. I love the darkness around it but also the light of the bricks. Going to start a project where I capture objects and places that are no longer relevant in the society we live in but were apart of my childhood. The second picture is of course of a dark hall. I like dark interiors and using contrast of black and white as if they are fighting each other to be the dominate one in the shot. As I explored the depths of my mind to make a decision that will impact my present and future. I took the time to take photos that I like. In doing so I was able to calm myself which helped me think. I proclaimed to myself that I wanted to take photos and write about them plus many other things. I have many creative outlets from my passion of writing like poetry, scriptwriting, research papers, blogging, etc. I love it and I get so focused on seeking validation from others when I simply just need to create. I am changing my work ethic to improve my artwork but also to improve the time of time I actually create. In the mornings, I am focused on light exercise and writing. I do photography for a while then back to writing. I run several blogs including this one, I update this one at random times, I update another twice a week, and one everyday. I need to be more organized and produce better and more frequently to ever to improve and to make my passions a career. This shot respersents the steps I must take and have each pillar has a shadow that I must overcome. I may take longer than other people but this is my path and I just need to worry about what I am doing. Once I am further down my path it will be more colorful despite how neutral it may look now. You have to take pictures that you want to take. At times if you have a client they may want you to take a shot you don’t want to take. It’s okay to satisfy the clients desires but show them your way as well. Give them more than one option and show them pictures you desired to take. You never know they may like your ideas more than theirs. You have to be committed to the shot, you may have to stand there to capture the right shot. You may have to wait for someone to walk into the frame. It takes patience sometimes to make a great photograph. This shot was taken with my Cybershot in the afternoon. I like looking at this hall. The floor is very reflective, there’s wall art, straight lines in different angles. I sat there and took a few shots until I felt like it was right. No matter how dark life gets, just keep moving forward. Never give in to your internal darkness. Deny it and walk into the light. Follow the path your true self wants to create. Never allow any to engulf you in the darkness especially yourself. Took this shot with my Cybershot. I took it upside down and from the side to give it a different look. I’m always experimenting with angles. Always seeking to improve every single day. sometimes you have to just stand there waiting for the shot you want. With enough patience you may just get what you want. I was shooting pics and without realizing it this woman got into the shot perfectly. She didn’t seem to care that she was in the shot and just kept walking. I wanted to capture the hall and it’s unique colors. I love the yellow that shines when I walk through this place. Was exploring my college while waiting for my next class to start. I went around to shoot some interior shots. I’m surprised I was able to capture it despite the school being very busy now. This was done with my Samsung Galaxy S3. I bring my Cybershot to school after a few weeks because less people show up. I wanted to capture the lights on the ceiling and the floor. I enjoy the reflective qualities of this hall. I’m working with film with my Minolta camera. It’s the first time I’m working with film so I’m learning slowly. Sadly the film is colored but at least it’s film. I hope to be able to capture good shots without knowing how the shots will truly look until I develop them. Alright, I’m spending time with my dad and watching tv but finding it difficult to find quality shows. I get lost whenever I hold a camera, I just want to walk and keep on walking for hours especially if the weather is nice. I get into my zone when I shoot, I never take a shot thinking of how someone will like it. I take what I think is beautiful and if I do think about what others think then I don’t take the shot. I’m not here to take shots to please others. I here to please myself and be able to show the world as I see it. I don’t allow myself to ever limit myself either. I never saw “I don’t shoot” that stuff. If someone asks me to take a portrait of them I will do it as it is another chance for me to get a camera in my hand. I mainly do architectural and street photography . The key word is “mainly” it doesn’t imply that I just focus on those two genres. At some point I would love to work with more models in order to add even more human elements to my shots. 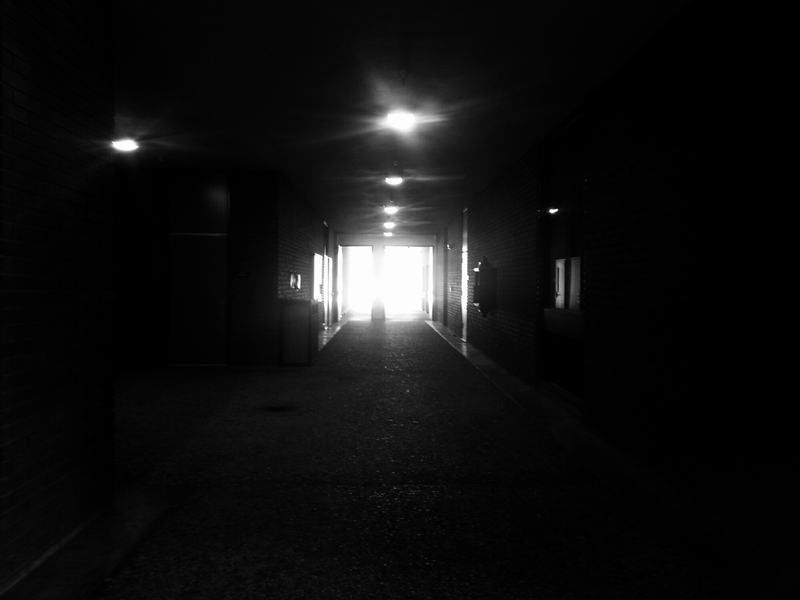 I normally find moments when there is no one using the halls or walking into the buildings I shoot. I have been doing more portraits trying to develop my own style to it. I’m working very hard to learn everything I need to about photography. But the main way I learn is by doing. Photography is trial and error! You have to experience failures to grow and I have experienced a lot. But I don’t care as I see it as a way for me to grow. I love doing photography and I will continue it forever. I took this shot with my Samsung Galaxy S3, it was before I got my Cybershot. I want to return to this place and try this shot in a wide angle. I edited it to be black and white (I always shoot in color) because it looked better to me. I love playing with colors and using black and white. I am working on editing as well, which has been fun. I hope you find your shot!